Years ago with models done mostly with raised panel lines, a few intrepid modelers would run a wash over the raised panel line or lightly run a pencil over them to break up the outline of the model and try to do away with the toy-diecast look. When recessed panel lines became the norm, washing panel lines with diluted oil, enamel or acrylic became the "in thing" so to speak. Why? Well the best explanation I have ever heard of this reasoning was from that modeling maestro himself Roy Sutherland. "The model is too small to make its own shadows so we help it out with washed panel lines to give a feeling of depth and a more 3D appearance". Washing panel lines has become one of the finishing steps practiced in modeldom these past years. However this is something of a personal taste item. Some modelers will use dark washes of black, dark gray, etc. to produce dark panel lines on the models others will prefer lighter washes to make the panel lines more subtle. Again Roy S. has a good answer for how dark? He feels that most of the panel lines on the model should disappear at the same scale distance as the panel lines disappear on the real machine as one moves away. Makes a certain amount of sense, methinks. 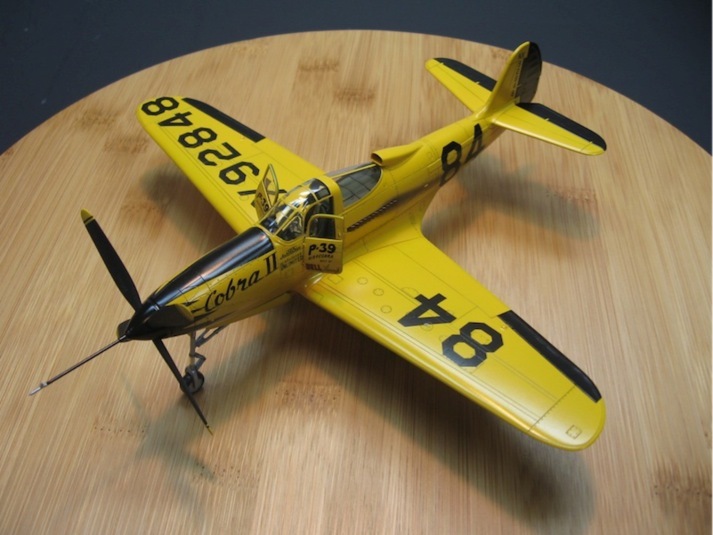 Recently I built a P-39 racer with a gloss yellow paint scheme; I decided to do the panel lines with a sharp #2 mechanical pencil as an experiment. After a Future application the panel lines were drawn in and any pencil lead dust was wiped off with a moist Q tip. I thought that the treatment was just right until I looked at the model again a few days later. I said to myself "Self those panel lines do look too dark now that your eyes have had a rest". I decided that I had to tone down the panel lines a bit, but how? So after much thought (always difficult for me) I came up with an idea. I took the gloss yellow base color coat paint and thinned it to a wash consistency and with a fine liner brush applied it into the panel lines. Any overflow was removed with a Q tip moistened with mineral spirits; the Future coat protected the base colors from smearing. The end result was that the thinned wash of the base colors reduced the intensity of the panel lines about 30%, which gave me the look I was after. 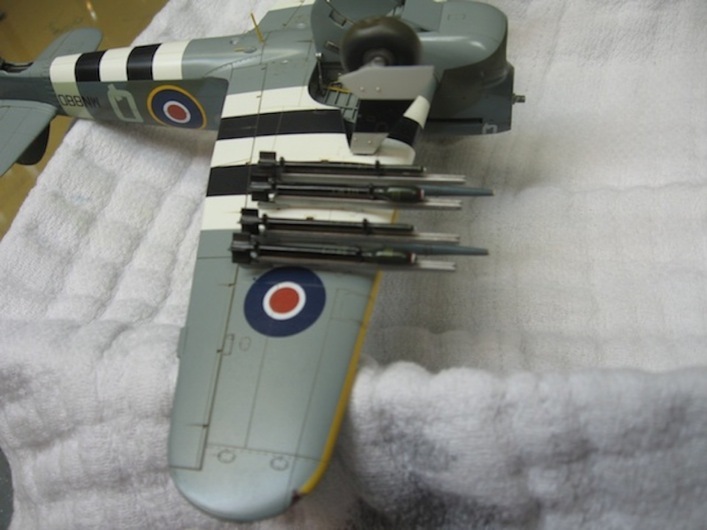 On a Hawker Typhoon build I had washed the Sea Gray Medium undersurface colors with a sienna color that once dried looked a bit too orange against the gray. So I redid the panel lines with a darker less red umber color that got me the look I was looking for. This technique would also work with any other type of wash oils enamels, etc. because you are just over coating the previously dried wash in the panel line recess with a light color, not trying to wipe it away.